Applications are invited for a lecturer position in applied mathematics to join Chalmers University of Technology. The funds for this fellowship are available for two years. Applications should be sent before November 30, 2018. The Department of Mathematical Sciences pursues internationally successful research and an extensive education. 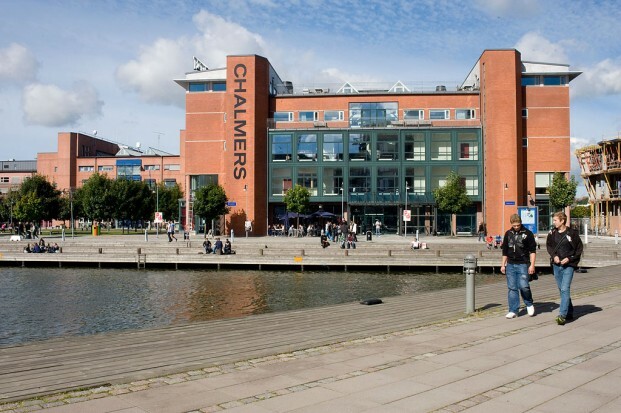 The Department of Mathematical Sciences at Chalmers and University fo Gothenburg, with about 200 employees, is one of the largest mathematical departments in the Nordic region. Within the department there are three divisions, Algebra and Geometry, Analysis and Probability Theory as well as Applied Mathematics and Statistics. We contribute significantly to the society through extensive education and research. The working environment is supportive, creative and international, with a constant flow of international guests. First and foremost teaching and educational development in mathematics including the development of the use of digital tools, but also supervision and research within the subject. Qualified for the position is the one who, on the one hand, has documented educational experience and skill in mathematics at University or college, and a doctoral degree in mathematics or equivalent scientific expertise, with regard to the subject content and the tasks that are included in the employment, including a doctoral degree in a related field. To be qualified, you must have the ability to cooperate as well as the ability and suitability in general that are required to perform the tasks well. An additional requirement is the ability to express yourself well, both in writing and orally, in Swedish. Courses in teaching in higher education of at least 15 credits or equivalent skills is necessary for the employment. If courses in teaching in higher education is missing at the time of employment, the employee is expected to acquire it within two years. Documented experience and interest in the development and use of digital tools in teaching is meritorious. In the case of equivalent qualifications, experience in teaching courses in financial mathematics or knowledge in this field is meritory. The assessment will primarily take into account educational and scientific skills, with respect to the major responsibilities of the employment. The application should be marked with Ref 20180497 and written in English. CV:(Please name the document as: CV, Family name, Ref. complete list of publications, (Divided into peer reviewed/non peer reviewed journal articles, conference contributions, etc). 1-3 pages where you introduce yourself present your qualifications and describe your future research plans. Copies of your most relevant publications in full format (maximum of ten publications). It is a good idea to attach the files as a PDF or compress them into a Zip file. Please use the specified format for thePedagogical Portfoliowhen you compile your pedagogical qualifications. Certificates of courses completed in pedagogy for higher education (15 ECTS points, 10 Swedish credit points in the previous credit system), or other equivalent courses, or proven equivalent pedagogical expertise.